Dr. Ronda’s examples: I remember going to a lecture of the great psychologist Viktor Frankl, who had been in a concentration camp in Germany. Perhaps because of the sufferings of that time, he said that he told all his patients that they could call him any time of the night. I was so impressed that I always say the same to anyone who is in crisis. I practiced hospitality of the heart today by calling old friends even when I was tired. The daughter I am living with presently talks about feeling so much into the pain of others that it is almost too much sometimes. That kind of empathy is surely a form of generous hospitality of the heart. By contrast, a form of warding off others I have noticed is people who show by body language or tone of voice that they don’t have time for you. 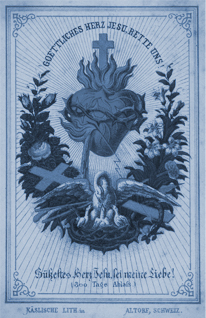 Prayer: Sacred Heart of Jesus, make our hearts like Yours! In the apparitions of the Sacred Heart You show us that Your heart is always open to us and that You feel rejected when we fail to turn to You in our sorrows. May I always hide in Your heart and may others feel that my heart is wide open to them as a conduit of Your love.